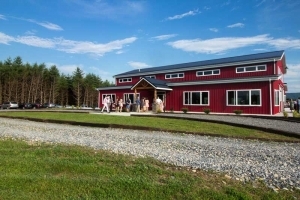 Saunders/Putorek rehearsal dinner catered by The Palisades Restaurant at Walker Creek Barn. Photos courtesy of Megan Pettus. 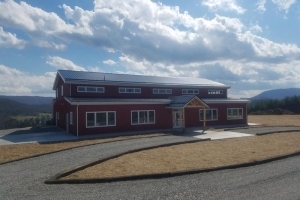 Our inaugural event, the 14th Annual New River Bash & Mayapple Fundraiser, was held Sat 3/10/18 at Walker Creek Barn. 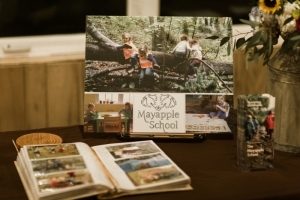 An evening of of fun, music, and great food by The Palisades Restaurant, with over 80 in attendance, was highlighted by raising over $5,000 to benefit The Mayapple School scholarship fund. Photos courtesy of finnyhillphotography.com. We are excited to announce that our barn is very near completion and getting "groomed" for its first event this weekend. We can't wait for the weddings and events we have booked in June and beyond. 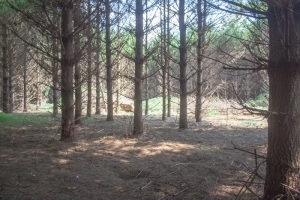 We are blessed to share a virtual tour of Walker Creek Barn's unique and exciting transformation starting from its conception inside the dark pine forest to the majestic and scenic light that now shines upon our amazing venue. John 1:5 The Light shines in the darkness, and the darkness did not comprehend it.